03 August 2016, in Nalchik, Abkhazia Square has hosted Adyge Djegu, a mass Circassian dance event. 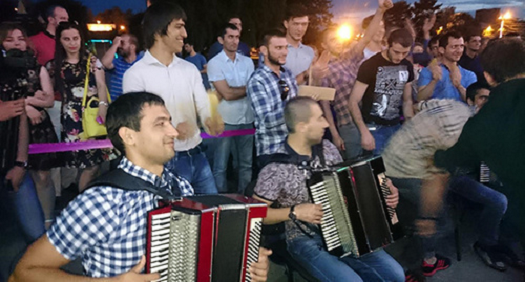 According to experts, Adyge Djegu is "a quintessence of the Circassian culture." According to organizers of the dance event, which has taken place today in the centre of Nalchik, Adyge Djegu has gathered more than 600 people. Meanwhile, the dance event was attended not only by residents of Kabardino-Balkaria, but also residents of Adygea. 44 people came to Nalchik from the neighbouring republic to take part in Adyge Djegu. In his conversation with the "Caucasian Knot" correspondent, Astemir Shebzukhov, a journalist and a Circassian activist, has noted that "the today's event of Adyge Djegu differed from traditional dance events by numerous participants, who came from different regions." 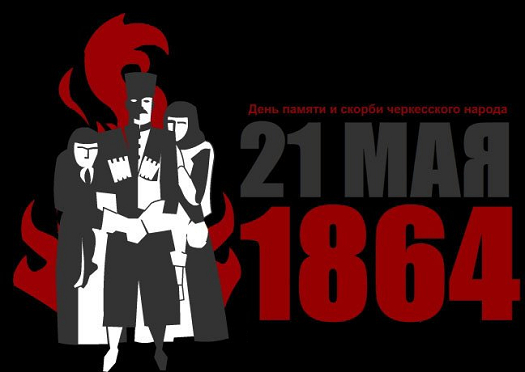 According to Astemir Shebzukhov, the event of Adyge Djegu is regularly carried out on Abkhazia Square in Nalchik with the permission of the city authorities. "The purpose of the today's event is simple. Circassians are people scattered around the regions. We keep contact mainly through the social networks. And such a chance of live communication, as the joint event of Adyge Djegu, is of great importance for us," said Astemir Shebzukhov.